Entertain like a pro! 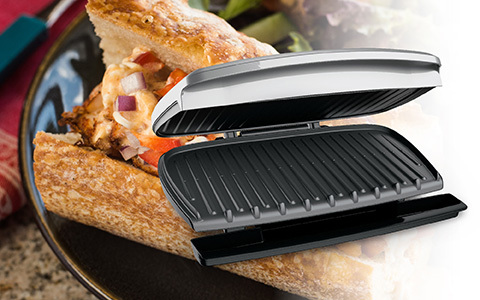 The George Foreman® 9-Serving Classic Plate Grill and Panini Press delivers fast grilling and delicious results for steak, burgers, chicken, veggies, sandwiches, and more. The proprietary sloped surface helps remove fat during cooking, and the Advanced George Tough™ nonstick coating wipes clean after every use. The large cooking area combines with dual contact heating to speed up grilling and get food on the table in record time. 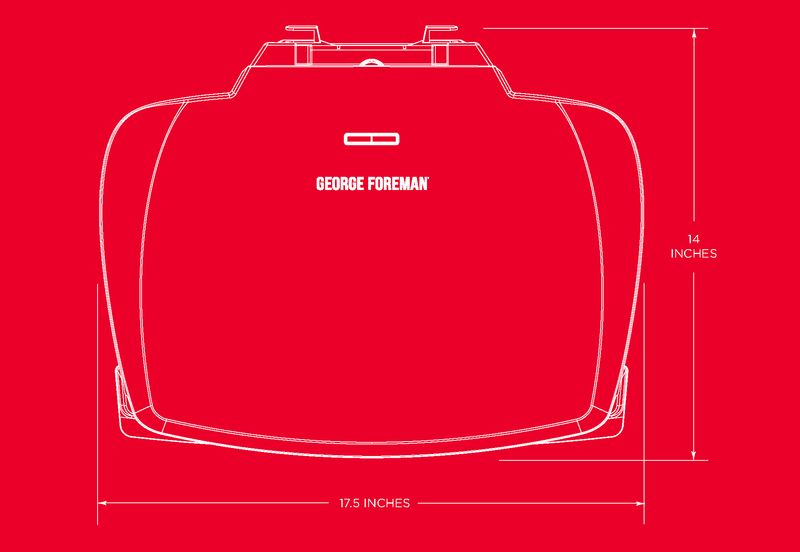 What will you make on your George Foreman® Grill? 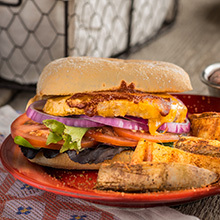 The 9-Serving Classic Plate Grill and Panini delivers fast grilling and delicious results for steak, burgers, chicken, veggies, sandwiches, and more. This is the original George Foreman® Grill. 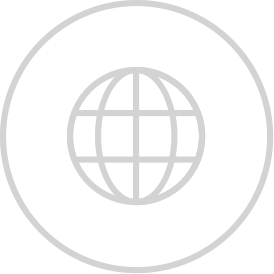 The durable grill plates give you lean, mean grilling power for all your favorite foods. Plus, it doubles as a Panini Press. 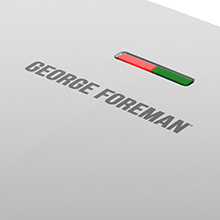 It's the sure sign of a George Foreman® Grill. 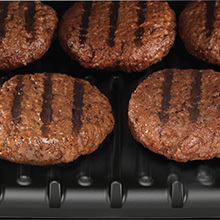 The sloped grilling surface helps remove up to 42% of fat* for tasty meats. 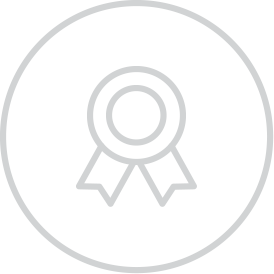 9-Serving Classic Plate Electric Indoor Grill and Panini Press - Platinum is rated 4.4 out of 5 by 5. Rated 4 out of 5 by Pamila from Clean Up I’ve always wanted a George Foreman but honestly couldn’t decide which one to buy so I didn’t lol. Then I received this one for Christmas and I love the way it cooks and as the other reviews say the grill Surface clean easily but I hate the fact that the plates are not removable. I would love to be able to pop the plates off and wash them off and soapy water because I just don’t feel like it’s clean if I’m cooking hamburgers and grease seems to be everywhere and it just is not a pleasant experience for me. I would use it daily if the plates were removable but since they are not, well I don’t. If you do develop a grill of this size with a removable plates, I would love to be able to upgrade the one I have. Otherwise thanks for a great product. Rated 3 out of 5 by Chris from I love how much I can cook on this one! I love my grill. I love how much food I can cook at one on it for my family. I only wish it had removable plates to make cleaning easier. I don't see any with removable plates that has a serving/cooking size of 9. I wish there was one I would buy it in a heartbeat. I use mine 3 to 4 times a week and I honestly hate the clean up afterwards. Rated 5 out of 5 by WmTipton from Loving it so far Bought this walmart model a couple weeks ago and absolutely love it at this point.I havent used the stove since we bought this grill. Cleans up seriously easy. Like wipe it down with a paper towel in 60 seconds easy. Grills bine-in chicken wings and thighs in 19 minutes, 20 minutes or more of you want really crispy skin. Grilling veggies, steaks, burgers. 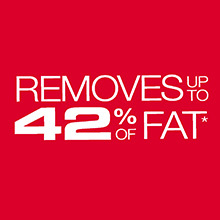 I also like to toss on a muffin cut in half, face down to heat up and brown a little while Im cooking a sausage patty. Toss on a slice of cheese and you got a sausage muffin in less time than a fast food joint could get it bagged for you.One of the best purchases of this year. Rated 5 out of 5 by momof3 from 9 Serving Classic Plate Grill Love the grill. I can put everyone's burger on the grill at the same time. its definitively a time saver when cooking. I just wish it came with an option of removable plates, clean up would be easier. Rated 5 out of 5 by Hot Dog Lady from Great Grill! I have two of these grills in my Hot Dog Stand/Burger Bar! I know I can depend on this grill to cook the burgers to perfection in five minutes or less. Quick and easy! I would love to see the GF company develop a commercial grill with this same design. A larger grilling surface would be ideal for my application!